26 January holds a very special place in the minds of people living in our country and the all Indians living across the globe. Our constitution came into force on January 26, 1950 and India became Sovereign Republic country. Which means it got the power to form the rules and regulation of its own without any foreign interference. We are free from foreign control. It took 2 years 11 months and 18 days to complete the entire drafting of our constitution. Dr. Bhim Rao Ambedkar was the chairman of the drafting committee. He was called the architect of the Indian Constitution. 26 January has the other historical importance; as on this day during the congress session of Lahore in 1929, it declared its demand total independence for India and it was celebrated as the Independence Day all over the country on 26 January 1930. Later, to commemorate this day, it was decided to implement our constitution on 26 January 1950. Here is official description (representation) of the colours used in the flag. White: It stands for peace. 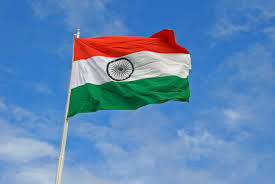 The Ashok Chakra in the middle of the flag has been derived from Lion’s pillar in Sarnaath. It is in navy blue consisting of 24 spokes- it represents righteousness, justice and forwardness. It also professes about constant movement that heralds progress and repels stagnation. 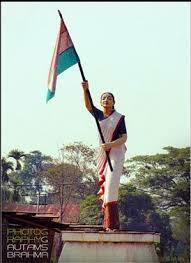 The tricolor was adopted as the national flag on July 22, 1947 just 24 days prior to the declaration of Independence Day. 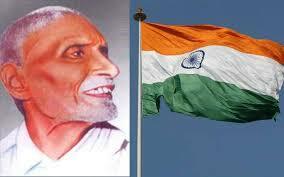 Pingali Venkyya(1876-1963), the fervent freedom fighter, was the designer of our national flag. Here are some quotations of the Republic day said by scholars from all over the world. Famous quotations on the ideology. See you and happy Republic Day ! Keep reading my blogs and don't forget to comment on them. Thanks for your invaluable words. Keep reading my blogs at https://jagdalpurbst.wordpress.com/ as well.